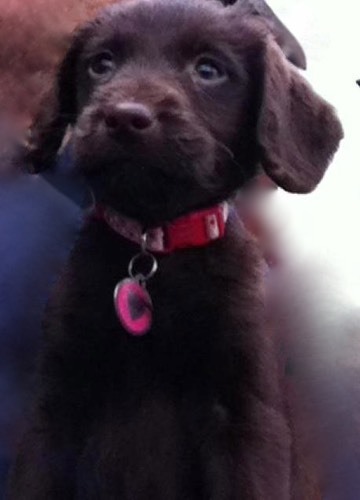 Wispa was born on 18th November 2011 and joined us when she was 9 weeks old. She is a medium sized crossbreed (labrador x mini poodle). She is intelligent, fun and a great companion to both humans and dogs. She joined Oz and I for some of our 'All About Dogs -Tellington TTouch and Clicker Training demos this year at various venues around the country. Unfortunately a 'practice season' prevented Wispa from competing in her first Rally in November 2012 but hopefully we will have lots more opportunities in 2013.